Two books instantly came to mind when I read this prompt. Set in Wisconsin in 1909, we meet Mr. Truitt, a lonely businessman standing on a train platform awaiting the arrival of a woman he has never met. 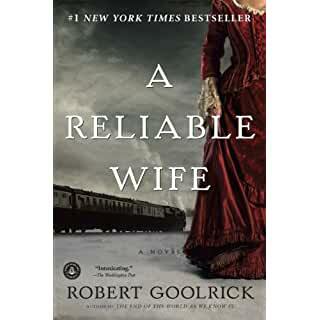 Catherine Land, traveling from Chicago answered Mr. Truitt’s newspaper ad for “a reliable wife.” From the moment she steps off the train, Mr. Truitt’s world is turned upside down. This beautiful woman was not the woman who answered his letter. But, he wanted companionship, an heir, and one day, love. Catherine wanted his wealth and before the year’s end, she would have it all. Truitt has secrets of his own, and as their story unfolds, they both get more than they bargained. What moved me most about this book is the humanness portrayed on every page. The language is beautiful and the way the author takes on a mesmerizing journey of these two very different strangers. If you’re a parent, this book will keep you up at night. It has been a long time since a book made me feel the range of emotions I felt reading this. At times, I had to close it, but only for a moment. When Andy Barber the District Attorney is faced with investigating the murder of Ben Rifkin, a friend of his 14-year-old son, Jacob. When the evidence begins to point toward his son, he and his wife are faced with a decision no parent should have to face. The author gets inside the mind of a parent better than any story I’ve ever read. This book is more than a legal thriller. It will have you wandering what extent would you go to protect your child? 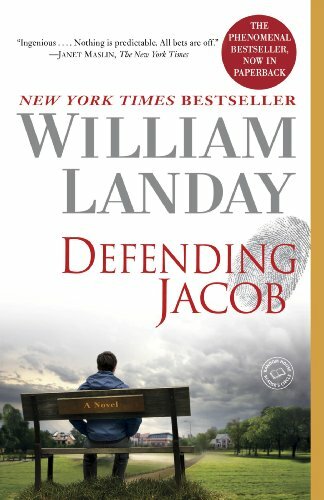 I also really enjoyed A Reliable Wife and have added Defending Jacob to my TBR list. 🙂 White Oleander by Janet Fitch was one I read in my younger years and really enjoyed rereading recently. I have read the White Oleander, as well. I enjoyed it very much. Thank you so much for stopping by the Cow Pasture and taking the time to read and comment.